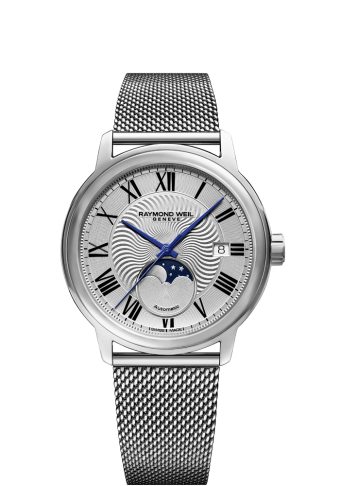 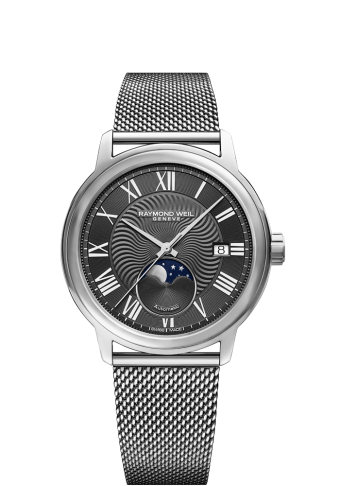 This maestro moon phase watch for men features an RW4280 mechanical self-winding movement and housed in a 40mm-diameter stainless steel case with a date window at 3 o’clock. 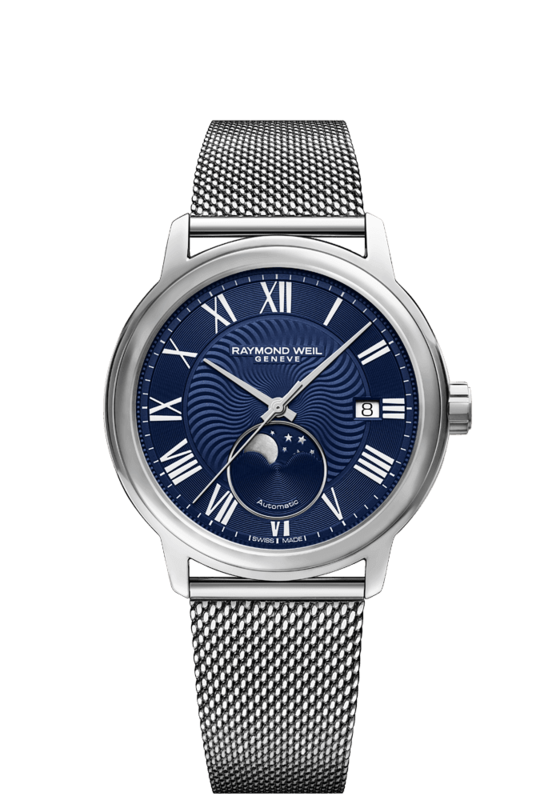 The blue dial with white Roman numerals is enhanced by the baton-shaped steel hands, the delicate wave-like center motif, and a moon-phase indicator positioned at 6 o’clock offering a stellar view via a crescent-shaped aperture. 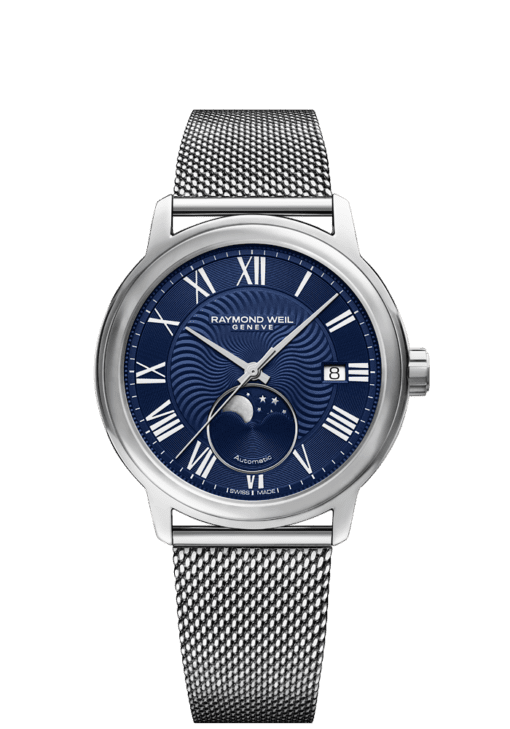 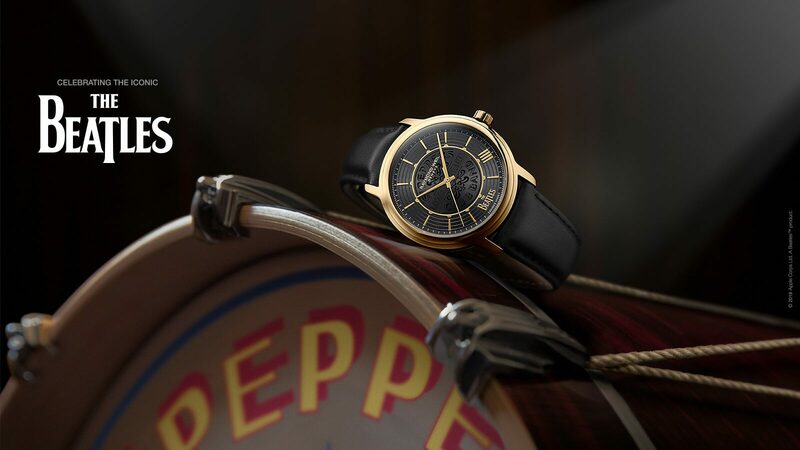 This elegant moon phase watch is classically styled with a stainless steel mesh bracelet and polished steel crown fluted with the signature RW monogram.